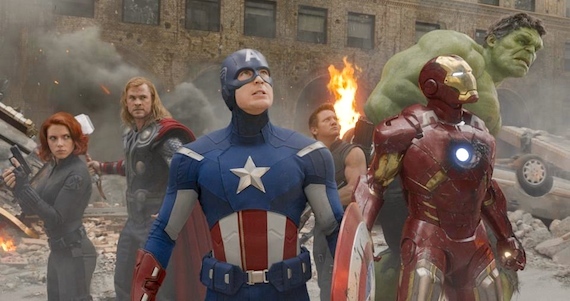 Six years ago, if you had told me that not only would an Avengers film finally get produced, but that it would have an all-star cast, a good story, brilliant effects and one of the biggest icons in geek culture directing it, I would have accused you of being a liar… and possibly a communist. 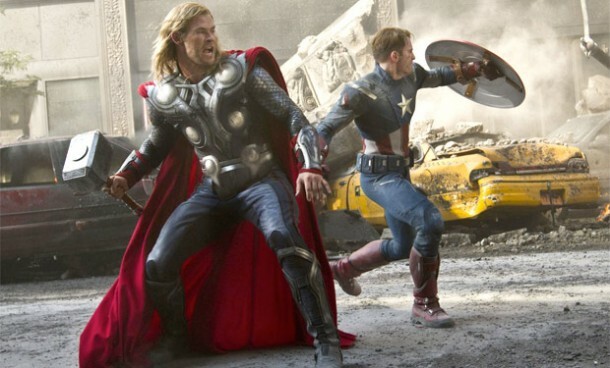 But it’s safe to rejoice: this year, we got The Avengers – and today, we got it on Blu-ray. Keep in mind that not long ago, Marvel Studios wasn’t producing movies: only licensing them. Film companies that bought the rights to many of the Marvel characters often got downright reckless with the source material, resulting in crimes against humanity like Daredevil, Elektra, The Fantastic Four, and Ghost Rider to name a few. But finally, Marvel had enough and decided to take matters into its own hands. This is where its most intricate and ambitious cinematic plan was set into motion. This is how The Avengers was born. The film begins with the notorious Loki (Tom Hiddleston) crossing dimensions to steal the tesseract cube from an underground S.H.I.E.L.D. base, which is completely destroyed by only a portion of the cube’s power. It turns out Loki has been hard at work since we last saw him in Thor, joining forces with the Chitauri, an alien race, who have agreed to let him take command of their army to rule the Earth if he gets them the cube.Nick Fury (Samuel L. Jackson) realizes a deranged god who now possesses one of the most powerful weapons on the planet is probably a bit out of S.H.I.E.L.D.’s league. He confirms the planet is at war, and after many years of waiting, The Avengers initiative is called into action. At this point, we are reintroduced to Agent Romanoff/The Black Widow (Scarlett Johansson) and everyone’s favorite S.H.I.E.L.D. operative, Agent Coulson (Clark Gregg). While Coulson retrieves Tony Stark/Iron Man (Robert Downey Jr), The Black Widow is given a much more daunting task – retrieving the Hulk/Bruce Banner (Mark Ruffalo) from Calcutta. Nick Fury retrieves Steve Rogers/Captain America (Chris Evans), who is still adjusting to modern living after being frozen for over 70 years. When Stark and Rogers meet, you can feel the tension between them. As characters, they are polar opposites: Stark’s laid-back attitude and jokes rub the disciplined Captain America the wrong way. Things only get worse when Thor (Chris Hemsworth) tries to take back Loki by force which, in one of the movie’s more entertaining fight scenes, leaves a forest completely annihilated.In short, The Avengers spend more time fighting each other than they do fighting Loki and his legion of alien invaders. They are all flawed individuals who don’t get along – but in the end, they all have to pull together as a team if the Earth is going to stand a chance. I have been a huge Joss Whedon fan for years but even I was skeptical that he could juggle so many characters in a single film. Luckily, he does so with ease, even giving secondary characters like Hawkeye – probably one of my favorites in this film – more attention then I thought possible. The story is fairly straightforward and simple, but given the number of headliners involved, I wouldn’t necessarily call that a bad thing. The action never feels dragged-out, and the comedy is well-timed. This isn’t a movie you’d see for the plot, but the dialogue, the acting, the amazing visuals and some of the best action scenes I have seen in any superhero movie easily make up for any shortcomings.Which isn’t to say that this is the perfect Marvel film. While Tony Stark is clever and witty, he never threw around so many insults in the previous Iron Man movies. Towards the end, he starts to come off as a complete jerk. Also, though the fights between the members of the Avengers are great, by the time we get to Hawkeye vs Black Widow it starts getting old. The story is a bit too simple and I hope Whedon will explore some more interesting territory in the next film. Fortunately, Stark also gets some of the best lines in the entire film, while Robert Downey Jr. delivers his best performance as the character to date. He even comes up with hilarious nick names for the other Avengers (calling Thor “Point Break” or Hawkeye “Legolas”).The one-liners eventually feel overdone, but fortunately, the action picks up before they completely overstay their welcome. Surprisingly, Chris Hemsworth’s best scenes are his more dramatic ones. Even after all Loki has done and plans to do, Thor still wishes to save his brother from the path he has chosen. 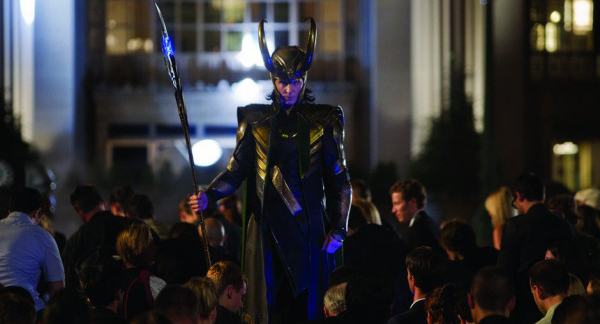 And speaking of Loki, Tom Hiddleston excels as the film’s villain, proving a formidable foe for the group of heroes. Chris Evans does a good job as Captain America, but I wish the film-makers had done more with his character. 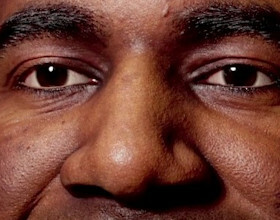 He never really does anything to justify his role as the group’s leader and his most emotive scenes only make an appearance in the extras – about which, more later. 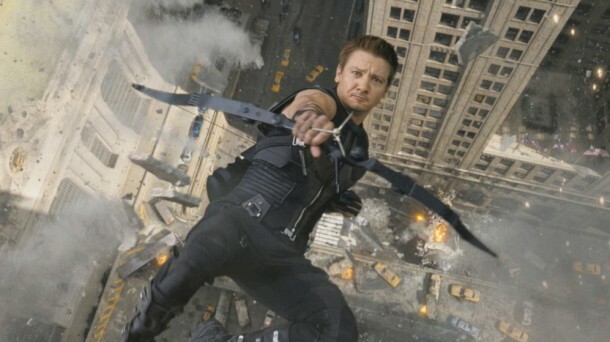 Jeremy Renner and Scarlett Johanson fare better: Hawkeye and The Black Widow steal the spotlight periodically from the more established heroes, with brilliant fight scenes and some really good character development. But the biggest surprise is Mark Ruffalo. The internet went into uproar when it was announced that Edward Norton would not be reprising the role of Bruce Banner, but Ruffalo’s portrayal of Banner and his big green alter-ego is the best I’ve seen yet. 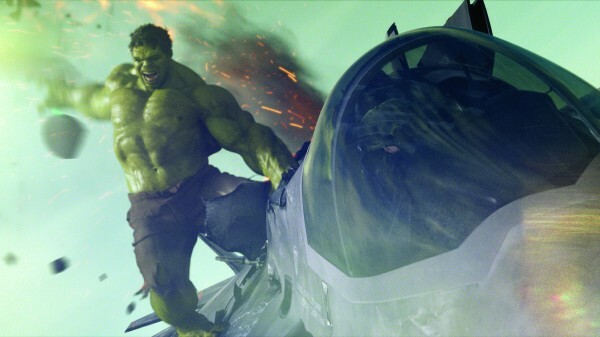 The Hulk also gets some of the film’s best – and funniest – moments. I won’t spoil them here: all you need to know is that the phrase ‘Puny god’ will be forever embedded in your memory… along with shwarma. I only hope that Ruffalo gets a full-length Hulk film of his own in the future. At 1080p resolution, the visuals are crisp, and though the Chitauri sometimes come off more like videogame characters, it’s easy to ignore because the rest of the film looks so good. The final battle, in particular, sets new standards for spectacle. The soundtrack is also phenomenal, and available here in DTS 5.1. A ton of extras are included, of which by far my favorite are the deleted scenes. Most deleted scenes deserve their place on the cutting-room floor but here, there’s no difference in quality: only in tone. Alternate openings and endings put a grimmer spin on events, and another scene shows a contemplative Steve Rogers reflecting on his role in this strange future. While I understand why it had to be cut, I really hope Marvel will use it in the upcoming Captain America 2: The Winter Soldier. There are also features on the making of the film, the visuals, and the road to The Avengers, not to mention a great director’s commentary and Soundgarden’s “Live to Rise” music video. Even the three-minute gag reel is one of the funniest I’ve seen in a long time, of which an epic slow-motion scene of Thor juggling the hammer he has failed to catch is probably the highlight. Hollywood hardly ever caters to the fans of comics. Many studios suffer from the delusion that they can somehow make a character better than they were in the source material, resulting in films like the ones mentioned at the start of this review. But with The Avengers, Marvel has finally proved that the source material can stand on its own. Much like The Avengers themselves, the movie has its problems. Yet it comes together in the end, delivering the most satisfying cinematic experience I have had all year. To say it is the best superhero film of 2012 is an understatement: if The Dark Knight didn’t exist, I’d say it could be the best superhero movie ever. Even on the small screen, it makes a pretty compelling release. The extras are plentiful, funny and entertaining; the behind-the-scenes features deliver a ton of content; and I seriously cannot get enough of the gag reel. Whether you loved The Avengers, or have yet to see it – and really, those are the only two possibilities – I cannot recommend the Blu-ray enough. 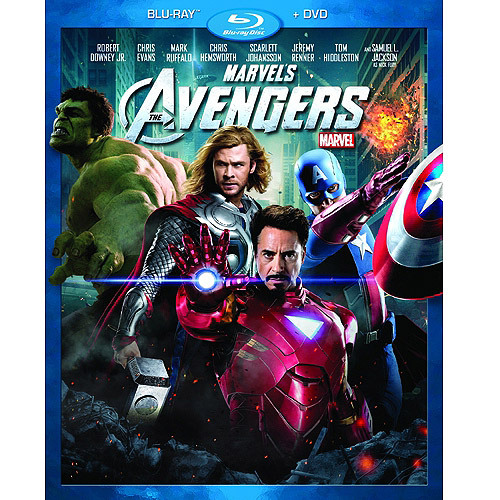 The Avengers is available now worldwide from Disney on Blu-ray, DVD and VOD.